Made a few wood pens a couple years ago, now making a couple dozen (black walnut, black cherry, American elm) for family and friends. After research, decided to cut my bodies about 3/16" long. I'm rough turning the bodies round, about 1/4" over diameter, before trimming to length. Even with the reduced diameter, my Whiteside pen mill body gets dull after one pair of bodies and I have to hone the long flats before using again. So I'm wondering how long beyond the tube length more experienced pen turners will cut their pen bodies? For wood, about 1/16 to 1/8 on each side closer to 1/16. I turn down about 1/2 way, then trim the barrel (sides) on a sanding jig (Rick Herrell's). This was just the way that I was taught - don't really know if the guy who taught me really knew what he was doing (boy, he did have much patience with me though). I've tried using a disk sander (no jig) and pen mill, didn't really like either method. Now I turn the blank round then mount the blank in a Chuck and use the point of a skew, taking little bites until I am square at the brass. This method works well for me, doesn't use anything consumable (sandpaper), and doesn't require much setup time. I am also able to easily adjust for brittle or finicky materials. Just my method, best of luck finding what works for you! Here is how I have been doing this for years. I really do not measure and could care less about specific lengths. I lay the tube on the blank and mark about 1/8" over on each end. Do this by eye. I drill on the lathe and glue the tube in after I rough the tube up with epoxy T88. Will never use 5 minute epoxy. I let sit for 24 hours. Then I go to my belt sander and using my miter gauge I sand the blank down to just barely touching the tube. Take 2 seconds. After that I go to lathe and set my sanding disc plate up and get my drill chuck and insert the appropriate punch bar in that the tubes fit over. I sand with 220 grit sandpaper attached to sanding disc. I use sticky back sandpaper and move it around to get fresh parts after a little bit of sanding. This takes about 20 seconds to 30 seconds to do. Then ready for spinning. Have actually given up on pen mills. Now the time the blank being centered on the tube counts the most is when you do segmenting and when you step up to that let us all know and we can assist. Good luck. Last edited by jttheclockman; 01-16-2019 at 09:54 PM. I do what Sam does. But I do it on a metal-working lathe, so the cutting tool is held very rigidly and can be controlled very easily and precisely. Sam does the length trimming with the brass tube already glued in and that is just fine. I do the length trimming before gluing in the tube. . This method requires calipers to measure the trimmed length and get it right. . Of course, the higher degree of control of the metal-working lathe allows you to take off a desired amount of material from the blank length. Another feature of a metal-working lathe which is very useful is that it has an open throat ... you can insert a blank of almost any length through the chuck jaws and into the throat, grip it solidly with only small amount of the material exposed, and thereby have no need for extended pin jaws to hold the blank securely while you are trimming it. 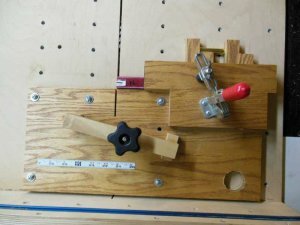 Don; I have a blank cutting jig that attaches to my table saw sled. I use a sanding disk setup to finish the blanks. The brass tube is visible just above the clamp. Slide the bar to the left until the Brass tube stops it and clamp down. The distance from the end of the bar to the saw blade is now perfect +1/64". Clamp the blank down with the knob and clamp bar. Cut! Then glue tube in blank. Note I do wood and acrylic blanks differently. This is because wood may move after the hole is drilled. Wood: Cut the blank to length and then drill for brass tube. Acrylic: Cut the blank long, drill to length of brass tube +1/8", then cut off un-drilled end to exact length. Like most new turners, I started out with a pen mill, but moved to the sanding jig. I usually cut the bodies 1/8 to 3/16 longer than the tube and sand to length after gluing. Last edited by gtriever; 01-17-2019 at 07:07 AM. There was a cutting sled developed by a member here that works great on a bandsaw and uses the actual tube to set the cut. I made mine so I could choose between 1/8” and1/16” over. Sorry I dont have a pic but maybe someone will remember the thread and provide a link. I first use a drill press to drill a hole about 1/4” deeper than needed. Then I use a bandsaw to cut the blank about 1/16” longer than the tube. I use the tube as a guide to line things up, then set it aside while cutting. No need to mark anything. I use a disk sander & Rick Herrel jig to square the ends. I use the Pen Blank Cutting Jig from T.V. 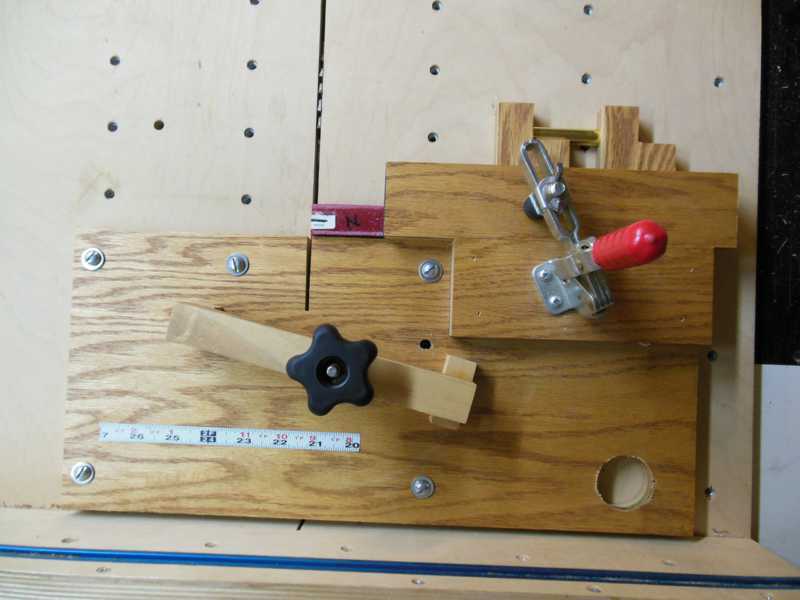 Geist Manufacturing for a quick and easy way to cut your blanks to the correct size every time without measuring and Rick Herrell's Offset Sanding Jig available here in the IAP Vendors Forum to trim to exact length.